Boone Hall Plantation is one of America’s oldest working plantations, and consequently is listed on the National Register of Historic Places. 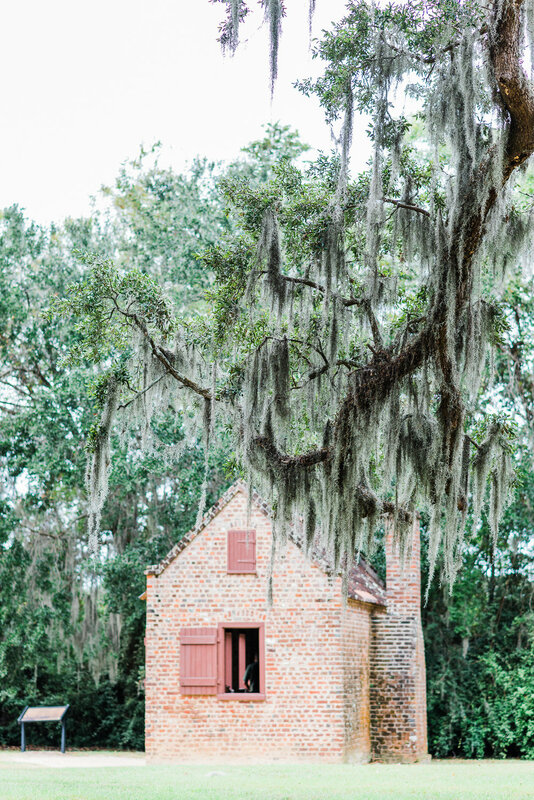 There is a large Colonial Revival plantation house, which was completed in 1936, that replaced the destroyed original house; slave cabins that continued to house sharecroppers until not too long ago; the “Avenue of Oaks,” planted in the 1740’s; and multiple flower gardens. Boone Hall Plantation came to be in the late 1600’s. 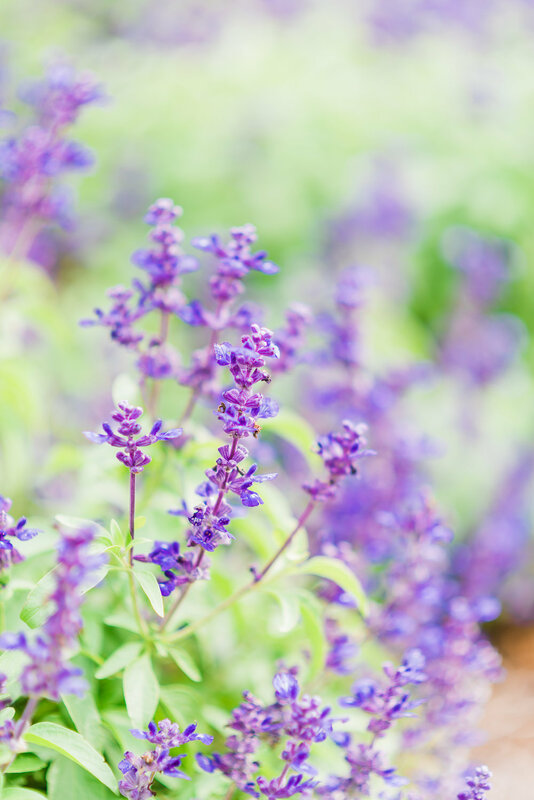 In 1681, Theophilus Patey gave 470 acres to his daughter Elizabeth, and her new husband Major John Boone (ancestor of Founding Fathers Edward and John Rutledge), as a wedding gift. Upon John’s death his entire estate was split between Elizabeth and their five children, with Thomas—the oldest son—living at Boone Hall. Boone Hall remained in the family until it was sold in the early 1800’s. Henry and John Horlbeck bought the house a few years after it was first sold. 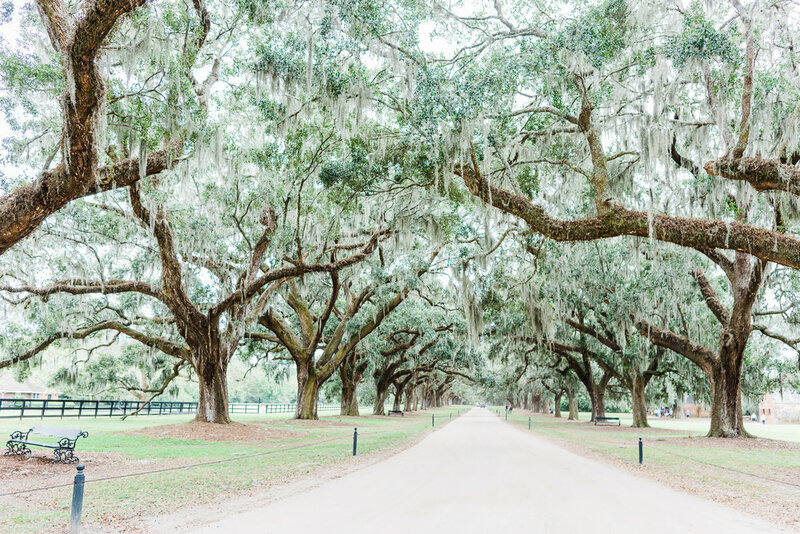 The Horlbecks were in the brick business and produced millions of bricks each year on Boone Hall Plantation, as well as completed the “Avenue of Oaks.” They then proceeded to plant pecan trees on the plantation. By the end of the 19th Century, the plantation was a leading producer of pecans in the US. In the 1900’s the plantation changed hands multiple times. In 1935 a Canadian, Thomas Stone, purchased the plantation from the Horlbeck estate. The Stones wanted a more impressive house, on the now 738 acre plantation, building the house that stands today and demolishing the former house. The Stones continued on, and improved, the pecan farming operation using more modern power methods. In 1940 the Stones sold the plantation to a Georgian prince, Dimitri Joriadze, and his wife, who happened to be an American socialite. The plantation then became known as Boone Hall Stable, since the Prince raced thoroughbreds. In 1945 the Prince sold the plantation to Dr. Henry Deas, who sold the property to Harris McRae and his wife in 1955. Harris farmed the land, focusing on peach trees, and opened the plantation to public tours in 1956. The McRae family still owns the plantation and preserved the plantation’s structures and gardens. Because of the plantation’s role in the antebellum south, it was named one of the African American Historic Places in South Carolina. Today Boone Hall includes seasonal crop fields, creeks, ponds, and naturally preserved wetlands. Parallel to the “Avenue of Oaks” sit nine of the original slave cabins, which display information on slave life. The plantation is a popular tourist attraction, and also serves as a wedding venue—most notably for Ryan Reynolds and Blake Lively.